Clinic Synopsis: In a series of interviews with Professor John Knight of the Oberlin Conservatory, professional conductors Pierre Boulez, Christoph von Dohnanyi, Herbert Blomstedt, Kurt Masur, and Richard Hickox gave revealing insights on the essential qualities for a successful conductor: Topics discussed include the art and craft of conducting, musical interpretation, rehearsal techniques, conducting methods, baton technique, and the professional growth of a conductor. 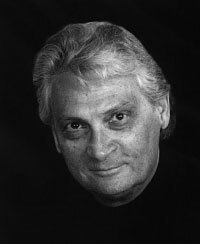 Clinician Biographical Information Dr. John Knight has been professor of music education and conducting at Oberlin Conservatory (Ohio), since 1978. He is consulting editor and music reviewer for The Instrumentalist where he has published more than 100 articles on conducting. He received the Citation of Excellence for creative writing from the Educational Press Association of America. He is the author of “The Interpretive Wind Band Conductor,” and “The Golden Age of Conductors,” published by Meredith Music. Knight is also coauthor of “Prelude to Music Education,” published by Prentice Hall.